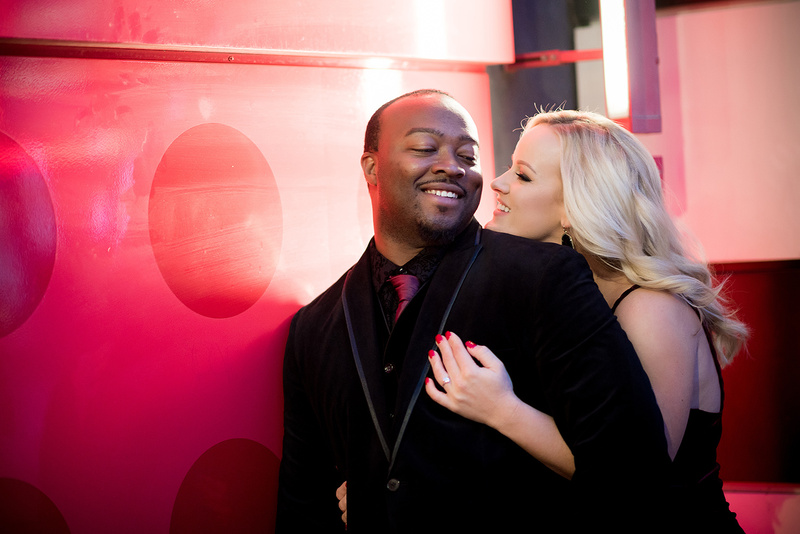 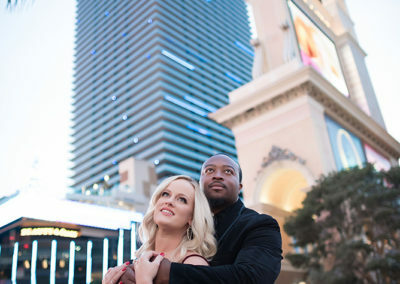 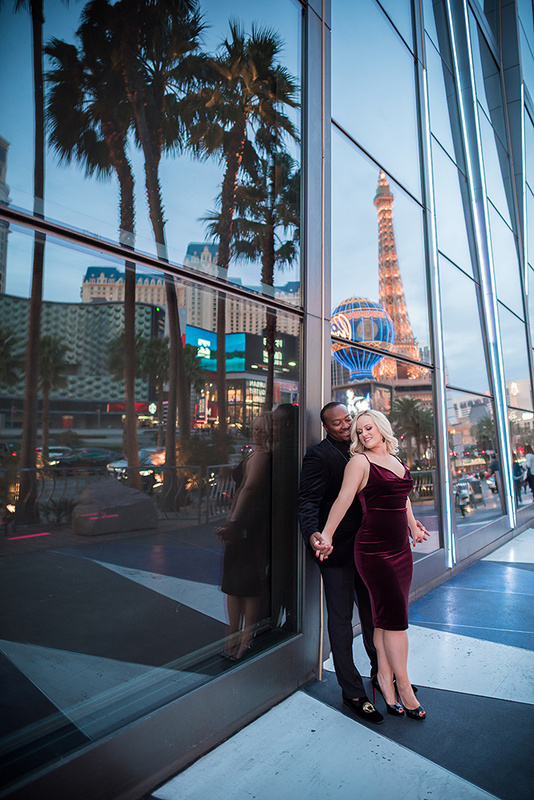 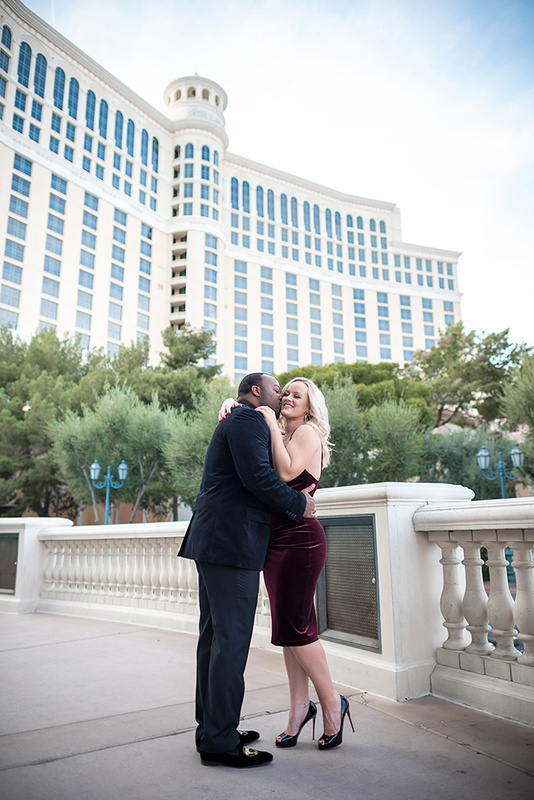 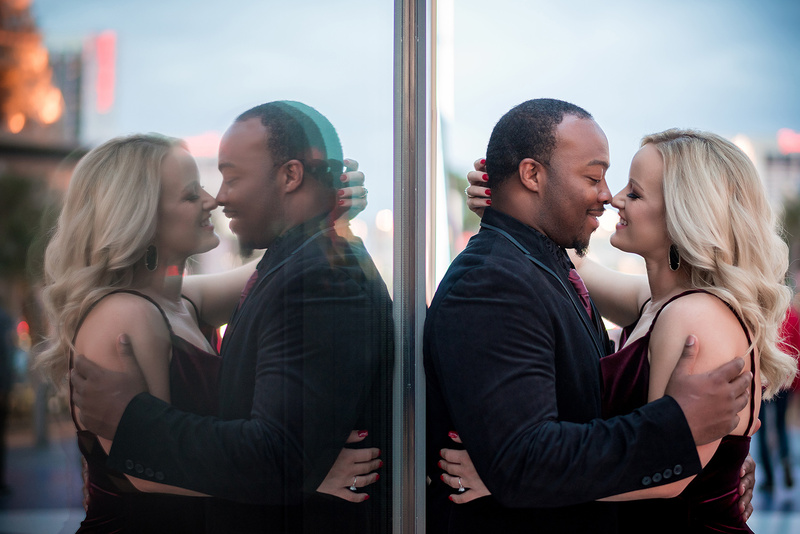 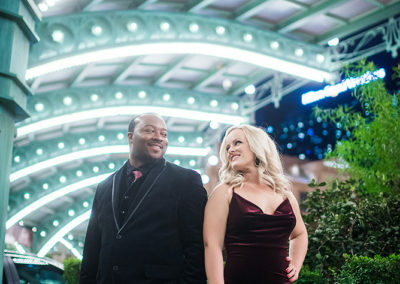 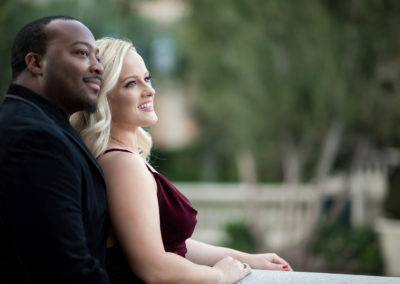 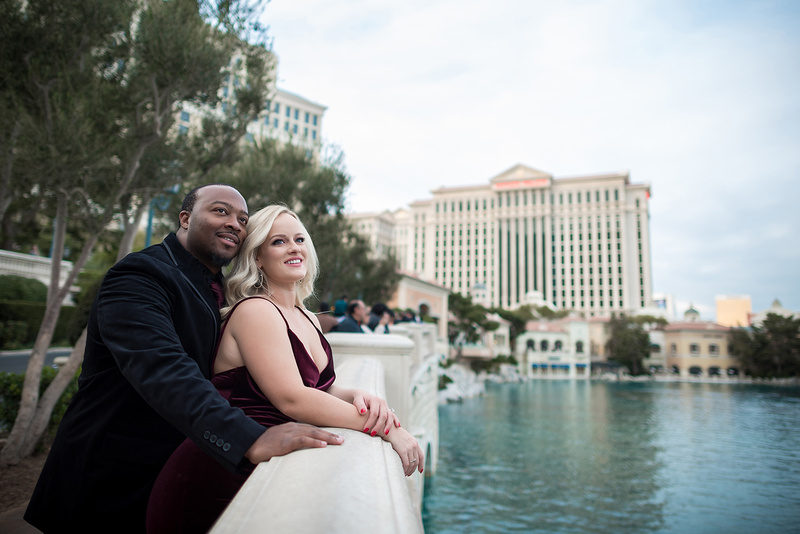 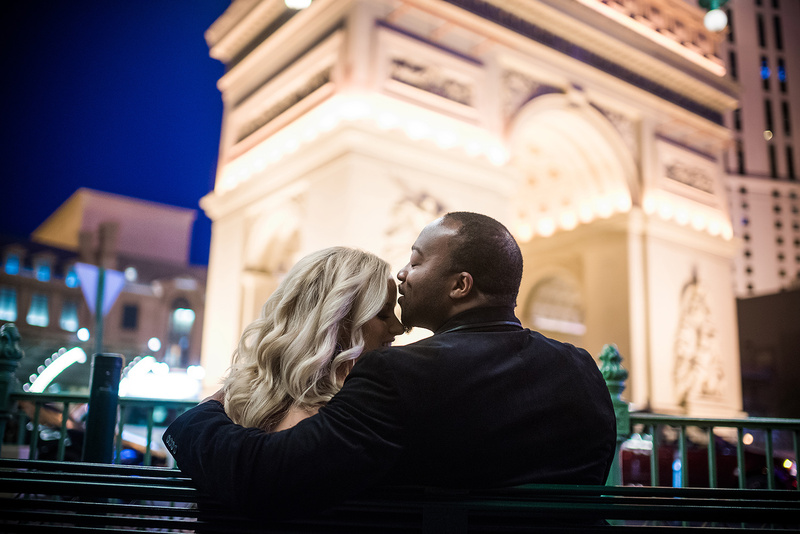 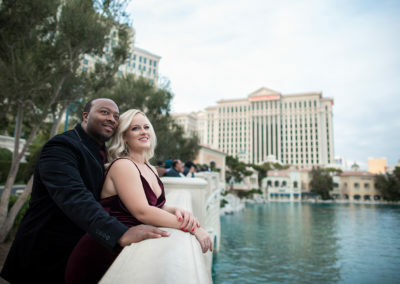 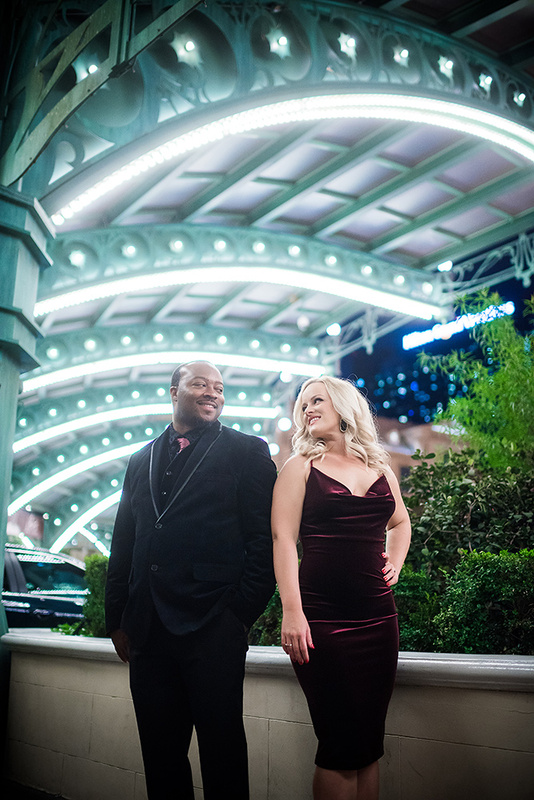 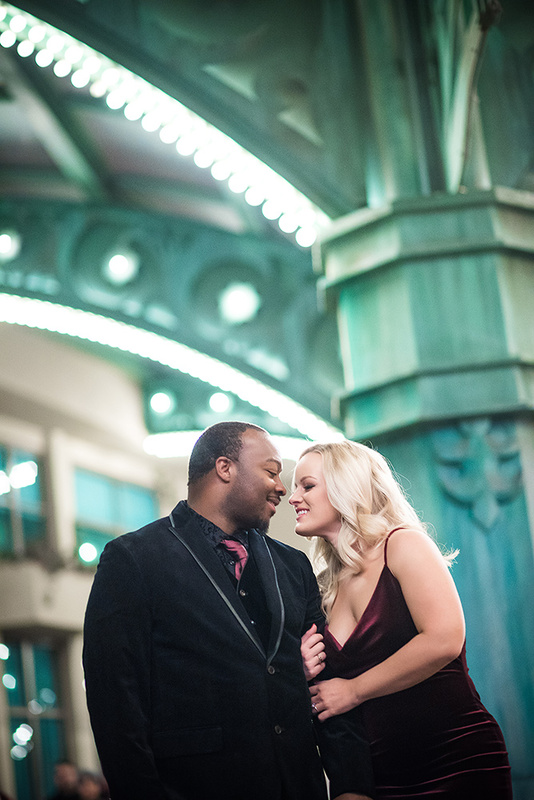 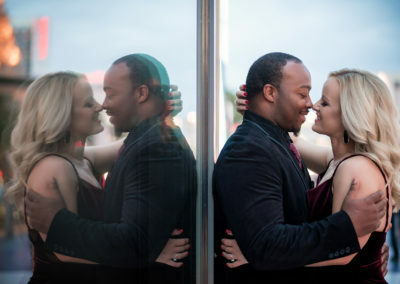 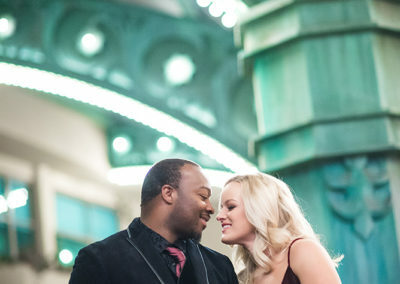 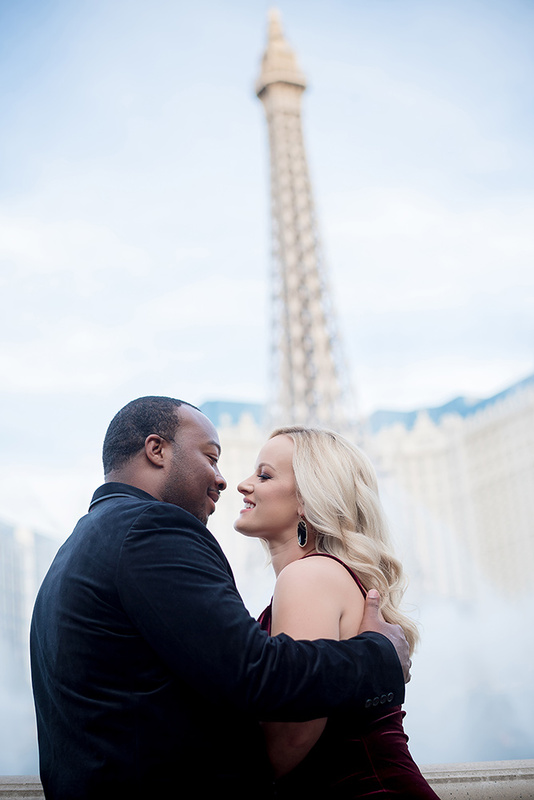 Lovely velvet outfits and laid back personalities for this engagement session on the Las Vegas Strip. 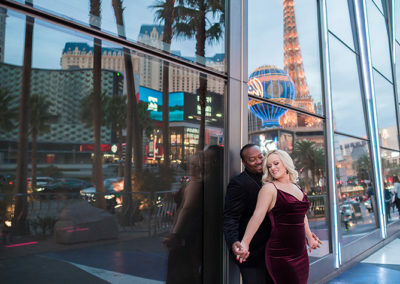 We walked around several key spots around Vegas and stayed comfortable in the shade. 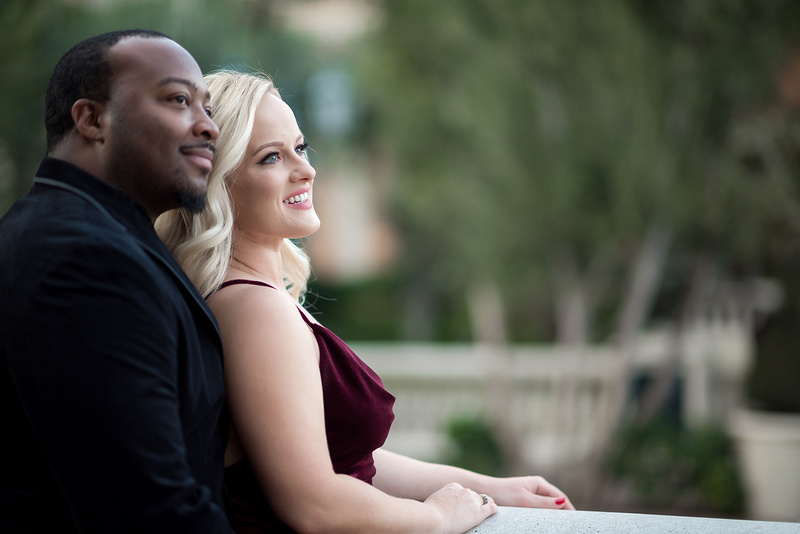 It was great to work with you both!